I’ve been hearing a lot about Knuckles recently with the new Ugandan Knuckles meme, and although that has lost its novelty I thought it would be a perfect idea to add a Knuckles Sonic the Hedgehog costume guide to the blog. Sonic the Hedgehog is one of the most recognizable game mascots in history alongside the infamous Mario, both were staples of 90’s gaming. The game features a hedgehog who can run at tremendous speeds with the goal being to collect as many golden rings as you can before attempting to beat the boss Eggman at the end of each stage. Knuckles was introduced in the third Sonic games originally featuring as an enemy who later turned into a valuable companion. He is known for fighting skills due to his spiked hands. If Knuckles if your favorite recurring character from the Sonic the Hedgehog games then you’re going to love this tutorial which will cover his costumes available for both adults and children of both genders. 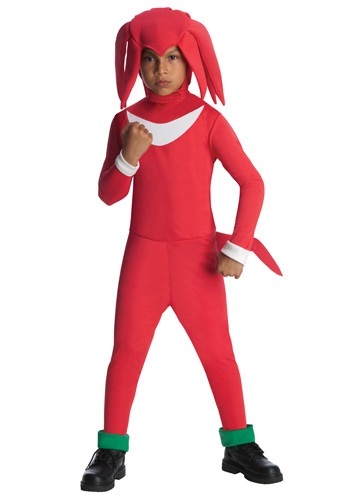 The first section is going to be Knuckles costumes for children as that is the games main target audience. 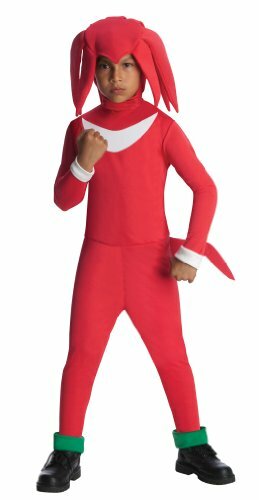 Here are two Knuckles costumes for boys which you can pick up from Amazon or Halloweencostumes. The set includes jumpsuit an mask. All you need is add is a pair of shoes. Now let’s move onto costumes for adults and teens. Here are the two most popular choices for both women and girl teens. 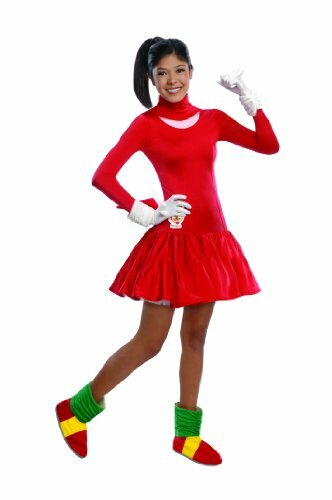 Both cosplay sets includes: red dress with attached tail, headpiece, gloves and shoe covers. All you need to add a pair of suitable shoes or heels like the model in the reference image. 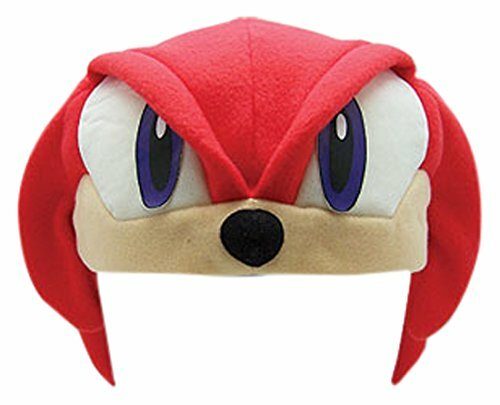 If you want to add a cap to any of the sets above you can do that with this fleece cap that features Knuckles face. 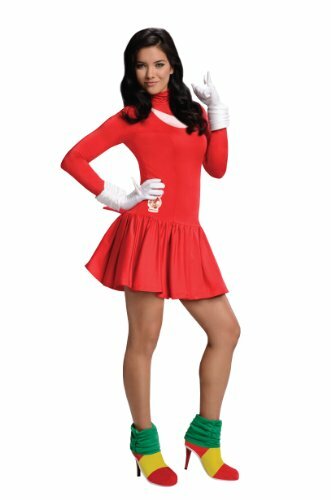 This is also great for those who don’t want a full costume set, simply add a red jumpsuit and white gloves an you’re set to go. 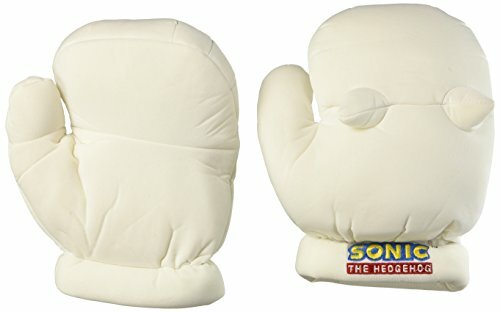 Finally if you want accurate gloves with Knuckles spiked hands then go for these plush cosplay gloves that will give you Knuckles famed fighting ability. For those who want to go the do it yourself route simply wear a red wig or create a headpiece with red fabric, add a red jumpsuit, red shoes and yellow socks. That is all for Knuckle’s cosplay, check out our Sonic the hedgehog cosplay guide if you’re looking to go as a group. Don’t forget to follow us on social media before you go to get updates on our newest guides.